Flatbed trailers are normally just a load floor and a bulkhead in front to protect the tractor. They can haul almost anything that can be loaded onto the trailer and strapped down. 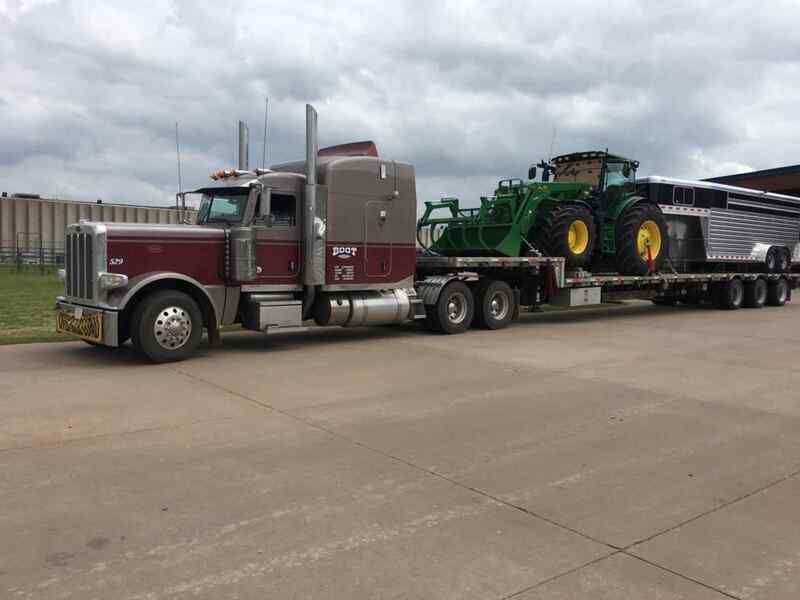 Boot Trucking also uses Lowboy trailers that are a type of flatbed where the load floor can be positioned as close to the ground as need. Lowboys are most commonly used to haul heavy equipment, bulldozers, etc.